Thinking of making the jump from shared hosting to VPS? There are plenty of good reasons to move to VPS; plus, doing so doesn’t necessarily mean you’ll be spending much more than you did as a shared hosting customer. With the right approach, you can even save money in the long run after you move to VPS. Still, the jump to VPS is a big occasion. 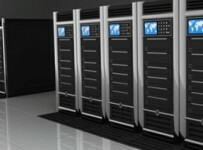 You should always try to find a VPS hosting company that can provide you with several years of good hosting. Many people find VPS is robust enough that they never need to upgrade to dedicated servers. With that in mind, look at your VPS host as a possible permanent home! Although VPS is a good bet in the long run, it’s important to make your move at the right time. If you upgrade to VPS too soon, you could find you’re spending money on resources you don’t need yet. On the other hand, waiting too long can mean your site suffers from slow performance or gets hit with extra fees. What are the signs that it’s time to move to VPS? Many popular content management systems include widgets you can use to learn about the speed of your site. Even if you don’t use content management, you can “benchmark” your site with a number of different tools for webmasters and network administrators. To make the data comparable, it’s a good idea to do this at the same time of day and day of the week each time. Over time, you might find your site is loading more slowly. This might be due to larger graphical elements on your site, advanced scripts or other factors. However, your shared host is the culprit in many cases. Find out which server you are hosted on and check the brand’s customer forums to see if similar complaints are being posted. A decline in quality is usually an important sign. Bandwidth — the amount of data transferred by a website over time as visitors load data — is the most expensive of all server resources. While many shared hosting companies claim to offer “unlimited” storage space and bandwidth, this is almost never the case. Instead, you’ll be hit with fees or see your website taken offline when you reach a certain amount of usage. It can be difficult to get clear answers from shared hosts when it comes to learning how much the resource caps really are. If you’ve hit your bandwidth cap, however — for example, after having a video go viral — it’s time to get moving. VPS hosting not only provides more in the way of “real” bandwidth, but it’s much more flexible if you really do need a lot of resources. Some shared hosts will provide Secure Socket Layer certificates for an extra fee, giving you the resources you need to collect sensitive data securely. However, it’s rarely a good idea to host a large e-commerce site with a shared hosting company. 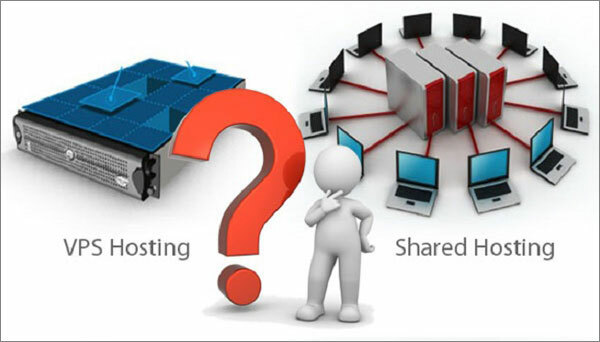 Shared hosting means the security barriers between your data and the data of other site owners are very thin. It’s much easier for hackers to intrude on a shared hosting website than on a VPS site, so launch your move to VPS once you start collecting any kind of important data. That could include things like banking information or geographical and personal information that identifies your customers individually. The cost of having data stolen is much higher than the cost of VPS. If you have an online forum or other community website, it’s a good idea to move away from shared hosting as soon as you can. Shared hosts can unexpectedly revoke support for the applications or functionality your site needs. Plus, forums have a tendency to use a great deal of bandwidth — people often reload these sites several times a day to find new content. There’s another good reason to move up to VPS once your community takes off: The risk of hackers and “trolls.” Hackers prey on forums by spamming users with ads or harvesting user data to send on to other spammers. “Trolls” are a minor threat by comparison — they focus on stirring up arguments in online communities — but it’s easier to deal with these issues on a VPS. Ready to make your move? Let’s look at the steps you should take first! 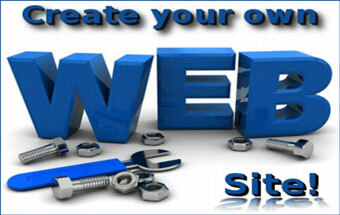 Some shared hosts provide you with the ability to make your own site archives using control panel software. In other cases, you may have to request an archive; this can cost you an extra fee. Either way, it’s a good idea to keep recent backups. There are lots of ways to find out more about VPS: Review sites and customer forums are both very valuable. Make sure the VPS hosts you’re considering offer support for all the applications your current site uses. VPS is a highly competitive industry. Most of the time, you can find coupons and special deals. Review sites sometimes have access to exclusive coupons even better than the ones found on a VPS host’s website. The fastest way to get your site up and running again is to have the in-house technical support team migrate your site to your new VPS. This will help ensure you won’t be dealing with any compatibility issues. Remember, the decision to use VPS isn’t irreversible — most reputable companies offer a month-long trial period to test their services!